Summer’s pretty much over in Melbourne, sad times I know, but hey, that also means the end of hay fever season yay! During the warmer days, I threw on this blindingly neon combo in an attempt to make my skin look tanner, which kind of failed I gotta say. 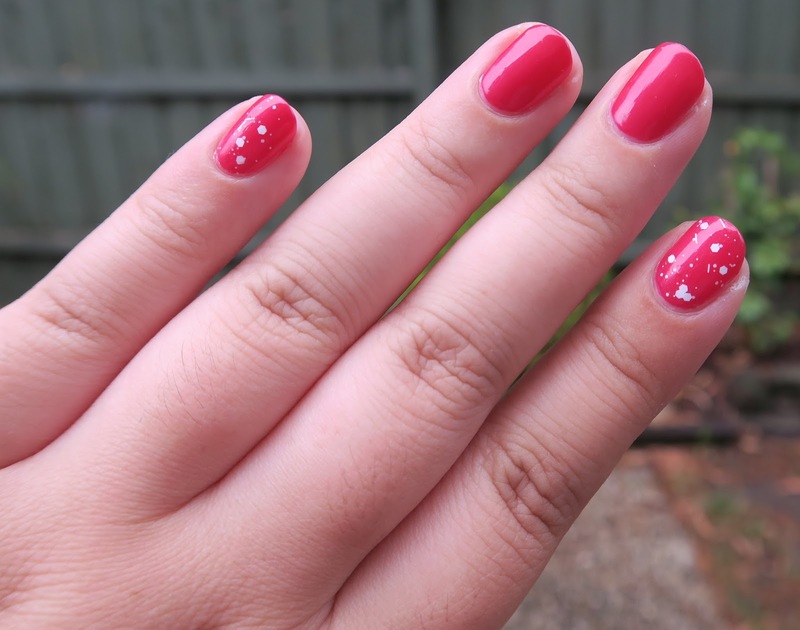 On the bright side (hehe), Essie Strawberry Shortcake had an excellent formula, an easy two coats was all I needed, and I slapped on some white glitter polish I bought in China for a dollar, and BAM, we have a winner! Although it looks like a pink-ish red, in real life, this polish is definitely a neon hot pink, with some shimmer through out, you know how cameras freak out with neons though. Priceline carries Essie nail polishes, I’m pretty sure this is one of the permanent colours.